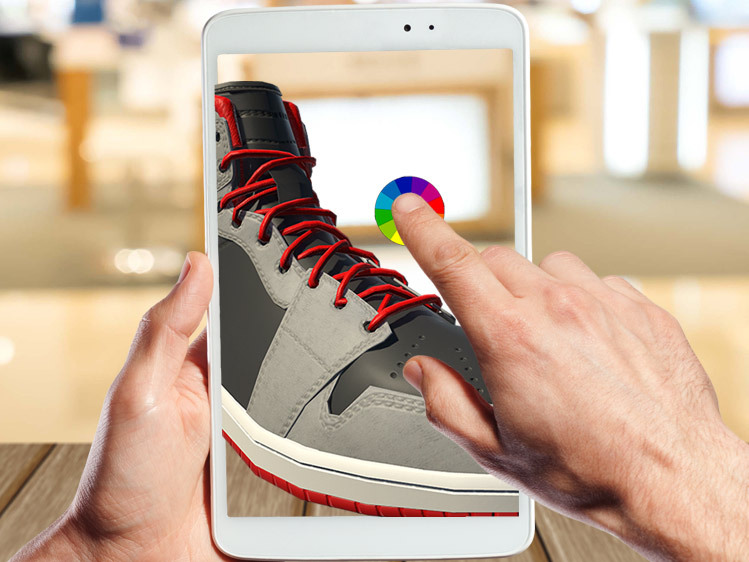 AR Sneaker Store - Upcoming Media Inc.
Don’t settle for lifeless customizability when you could be at the forefront of an all-new, groundbreaking shopping experience. Our Sneaker Store solution will boost your sales and bring your brand awareness to the next level in this modern world. Using your mobile device users can customize their favourite pairs of sneakers before purchasing. With so much digital value at their fingertips, shopping just got serious!